PLM has specified and designed many substation, transmission line and distribution projects. We have experience in both turnkey EPC projects and traditional Design - Bid - Build projects. We are recognized for providing a well thought out, cost effective design that meets all client requirements. Our detailed design package often results in limited or no contractor change orders during the construction process. A typical design project starts with a detailed Design Memorandum that sets forth the basic criteria that will be used to design the facility. Following client review and approval of the Design Memorandum the conceptual project design and and schedule are prepared, followed by any required permitting activities, specification and bidding of major equipment, and preparation of the construction contract. In most cases we provide construction phase services, including review of contractor submittals, field review of the work progress, assistance with utility interconnection requirements and preparation of relay settings. A final as-constructed drawing and record package is prepared at the close of the project. The Middleborough Gas & Electric Department contracted with PLM to provide engineering and design services for a new 3.75 mile 115kV overhead transmission circuit. The project established a second 115kV delivery point to enhance customer service and address rapidly growing load levels. The Town of Wolfboro Electric Department's distribution system was operating entirely at 4.16kV and the Town was relying on expensive on-site diesel generation to relieve its fully loaded substation facilities during peak load periods. PLM began with a System Planning Study to address thermal overloads, low voltage, inadequate reactive support and other unacceptable conditions. Based on the Study recommendations, PLM prepared design and contract documents for the construction of a new open bus 34.5kV to 12.5kV substation. The project also included preparing design and contract documents for the rebuilding and conversion of a major portion of the 4.16kV distribution system to 12.47 kV operation. The Norwood Municipal Light Department needed to construct a second 115 to 13.8 kV substation. After a comprehensive system planning study and much community input, it was decided that an indoor substation utilizing 115kV GIS equipment was the design of choice. PLM assisted with permitting at the Massachusetts Energy Facilities Siting Board in order to obtain permission to construct a 2.2 mile underground extension of the 115 kV system. PLM prepared design and contract documents for the 115 kV GIS switchgear and all other major substation equipment, underground ducts and manholes along busy US Route 1 and 115 kV underground cable turnkey installation. This "design-build" project had an extremely aggressive schedule. The PLM engineers coordinated the design and schedule with the constructor, the upstream utility, the project owner and the owner's independent engineer. The substation was completed on time and within budget. The project received a nationally recognized award for "outstanding engineering and operations design." PLM manages more than 900 MW of load for utility clients throughout the northeast (NYISO and ISO NE) energy markets. We provide both long run power supply planning and daily bid-to-bill services on behalf of a wide array of municipal electric utilities that are market participants of the Independent System Operator of New England (ISO-NE) and direct customers of the New York Independent System Operator (NYISO). Bid-to-bill services include hourly load forecasting, resource optimization and scheduling of transactions to clients in the NYISO. PLM also provides invoice verification services to its clients that are ISO-NE participants as well as direct customers of the NYISO. 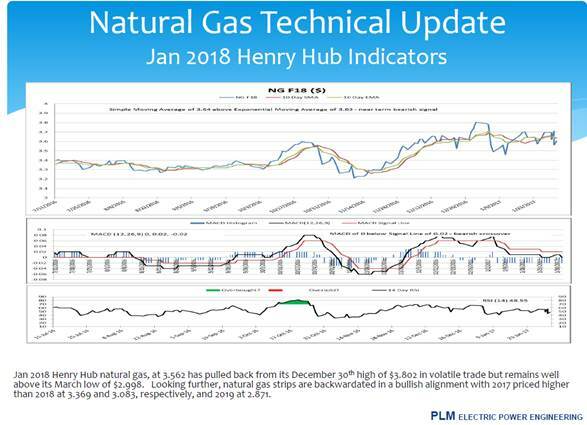 PLM provides daily technical analysis of enregy commodities including natural gas and wholesale electricity prices in New York and New England as part of a comprehensive program to hedge clients' exposure to risk associated with price swings in the energy markets. The New York Municipal Power Agency has retained PLM to provide complete bid-to-bill services to the Agency and its 36 member systems. The retainer includes daily operational and long-term bulk power supply planning services. 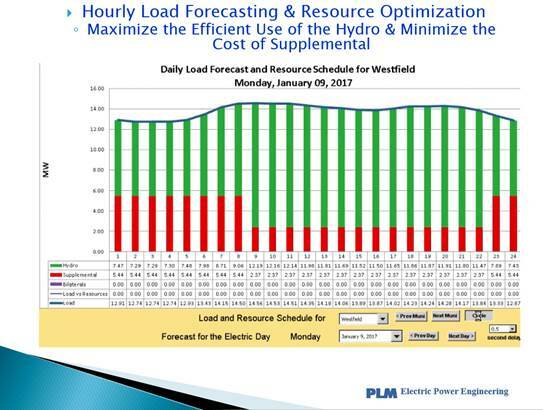 PLM provides hourly load forecasts looking ten days forward and resource optimization and scheduling with the New York Independent System Operator (NYISO). 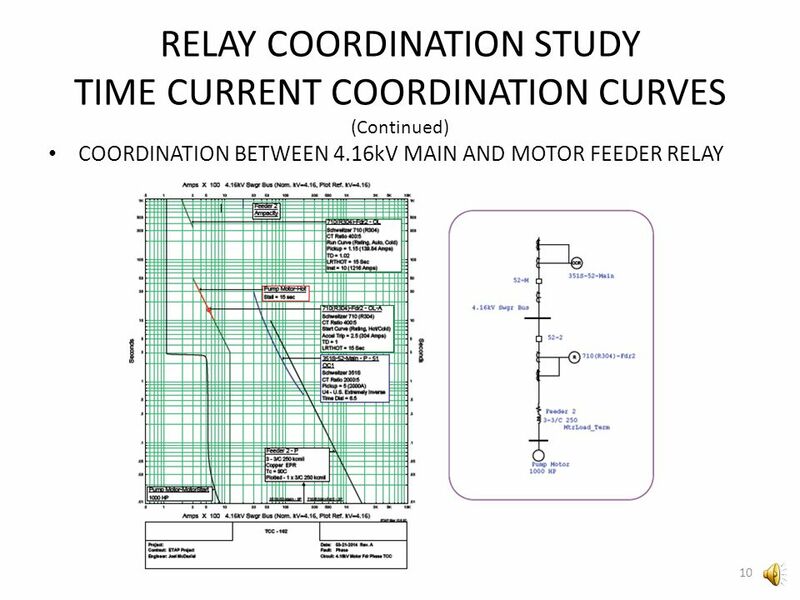 The PLM staff has evaluated, designed and implemented relay and control protection schemes for generation, substation, distribution and transmission facilities for voltages ranging from 208V to 345,000V. This work has also included development of detailed protective relay settings. PLM also has extensive experience conducting short circuit and coordination studies for utilities, transportation agencies and industrial facilities. 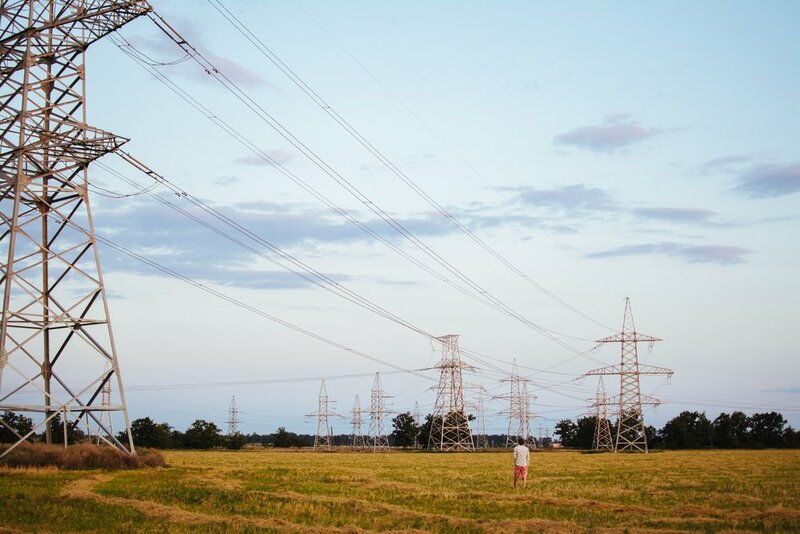 NSTAR, a major electric utility in Massachusetts, contracted PLM to do a thorough relay coordination study for an entire 345 kV, 230 kV, and 115 kV looped transmission system. The study involved a review of directional-distance phase relays, directional-distance ground relays, and phase and ground overcurrent relays. The existing relay settings were modeled in ASPEN, a short-circuit computer program, and the settings were analyzed both on a circuit basis and also for relay-to-relay coordination between primary and backup systems. The Braintree Electric Light Department hired PLM to upgrade their 115kV protection system. This included replacement of electro-mechanical relays with microprocessor-based relays, providing for redundant battery systems, replacing 115 kV oil circuit breakers with SF6 circuit breakers, adding breaker failure protection and adding high-speed Permissive Overreaching Transfer Trip and current differential line protection via a multiplexed fiber optic communication system. The Norwood Municipal Light Department retained PLM to assist in the procurement of a new SCADA system to augment an existing load management system. The SCADA system provides monitoring and control of two substations and two switching stations back to redundant master computers. PLM has performed dozens of system planning studies. Each study begins with an agreed upon System Design Criteria, that sets forth the client requirements and expectations. In addition to cost, external factors, such as permitting requirements, interconnection requirements, aesthetic impacts, etc. are always considered when developing alternative plans and making final recommendations. PLM was contracted by a prestigious west coast university to audit its high voltage underground electrical system (4.16kV & above). PLM engineers performed a field survey to gather data on the existing electrical system. Input from operations and maintenance personnel was solicited. Historical reliability data was analyzed and summarized. A Study report was issued that identified the need for additional substation capacity, recommended relay system modifications and that also provided guidelines for standardization of underground system design. USGen New England hired PLM to develop several comprehensive Electric System Operating Descriptions. These documents provide a detailed description of the extensive electrical protection and control of Generator Units #1, #2, and #3. PLM was retained by North Attleborough Electric to perform a load flow analysis of the system including their 115 kV supply substation and 13.8 kV distribution system. PLM worked closely with North Attleborough staff in acquiring system data and identifying and quantifying anticipated future load growth areas in order to evaluate proposed system improvements. PLM provided a system capacity study for Shrewsbury Electric Light Department. The system capacity study analyzed alternative methods to satisfy the need for more power delivery capacity. 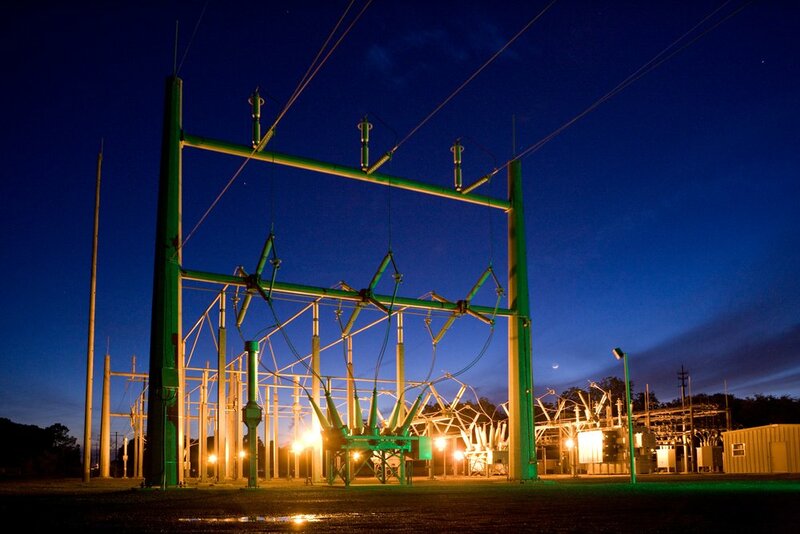 PLM provides many services outside of the traditional substation, transmission & rates. We have provided detailed training programs for field personnel on the operation of their protection systems. Some of the other various services we provide include: operation/mis-operation investigation, owner's engineer, and regulatory compliance. PLM was retained by Siemens Transportation Systems, Inc. to develop a Traction Power System (TPS) training program as part of the Northend Electrification Project. The result was a comprehensive seven-week curriculum that was delivered to Amtrak personnel and publication of substation Equipment Operating Guidelines for all major Northend Electrification electric power facilities. PLM was retained by the National Park Service to prepare contract documents to remove and replace PCB and PCB-contaminated transformers at several locations in New York City including The Statue of Liberty. The final design resulted in the successful removal and replacement of six single-phase PCB transformers with six single-phase dry-type transformers.